Manish underwent ?minigraft transplants/ ?double follicular unit graft transplants in 2005 in some other clinic. 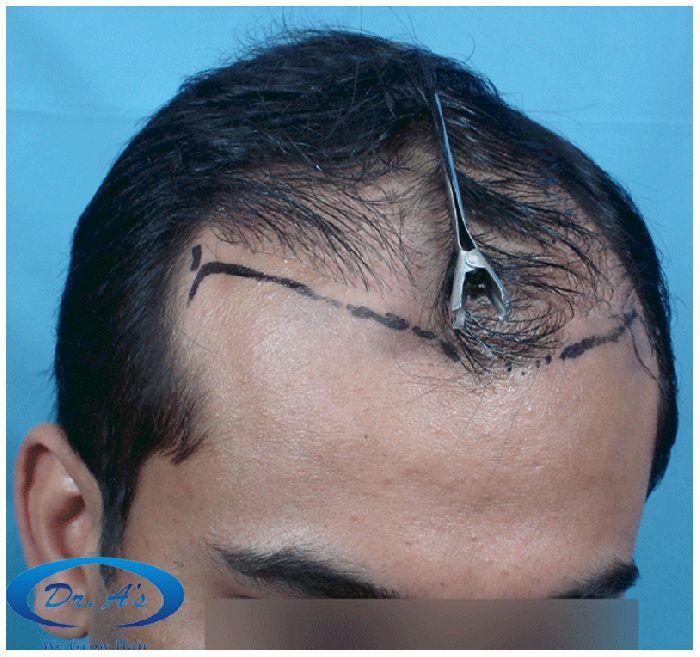 The grafts were extracted from donor scalp by punches (?1.5mm to 2mm instruments). Manish visited us for repair HT in Jan 2007. 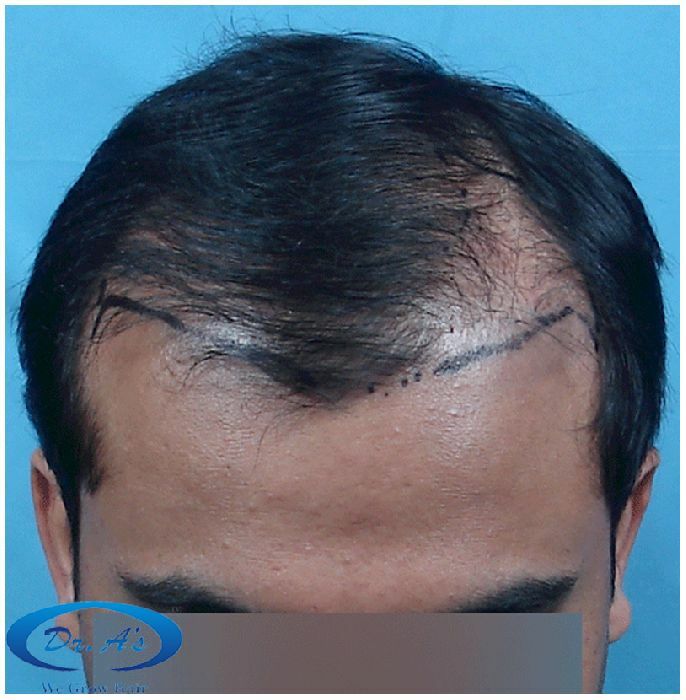 2500+ strip FUHT grafts were used in the procedure. 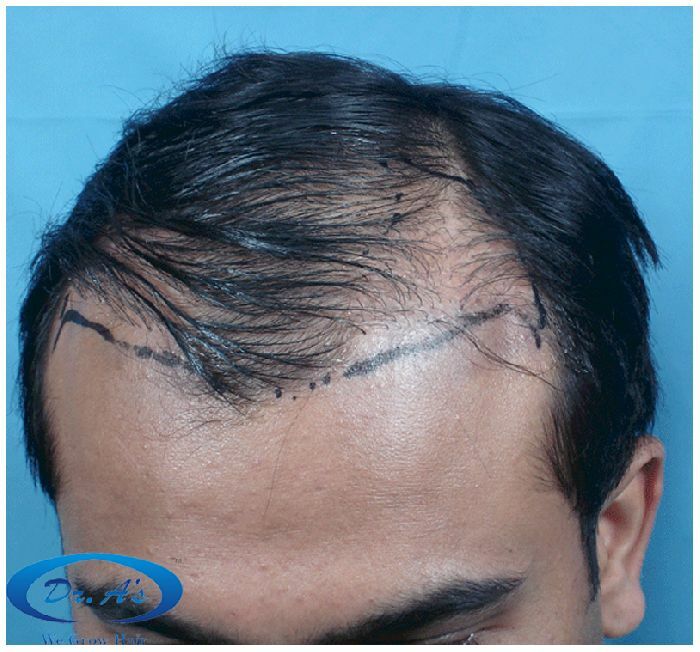 In addition, a complimentary test session using chest hair was also performed (to anticipate possible future use, if the patient’s hairloss progressed extensively). Manish is happy with the outcome. However, he has had further progression of hairloss (albeit at a slow pace). He recently visited us for a further HT procedure. There seems to be some problem with the picture upload function. Its not uploading GIF as well as jpeg pictures. » There seems to be some problem with the picture upload function. » Its not uploading GIF as well as jpeg pictures. 15 months post op from 1st procedure, PRIOR to 2nd procedure. 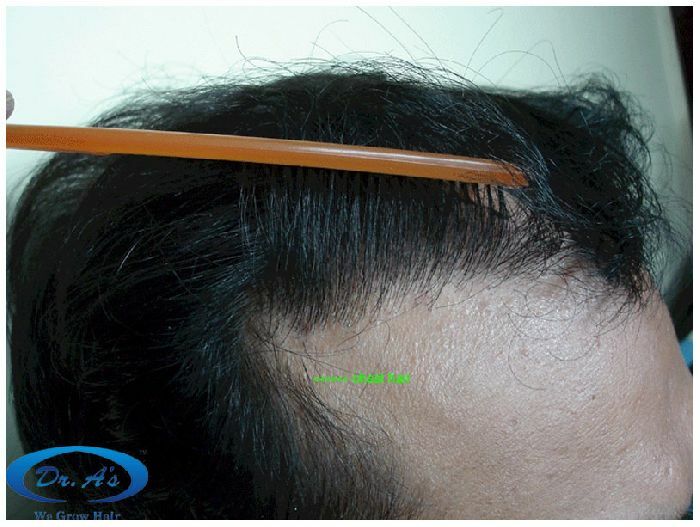 Pictures of HT (1300 FUHT grafts - 2nd procedure) performed in April 2008, to fill in the newly thinned out scalp areas. This is the scary thing about hair transplants,you may keep losing your hair and you are forced to keep getting more transplants, it’s like the giant black hole. There are some severe problems with these pics, probably due to these upload problems. I would strongly suggest that you remove the pics until the problems are resolved to avoid unfair accusations of manipulation until the upload is sorted. Take a look at the after pics and you see what i mean. Marco, wanna share with us before Hairsite removes the pics ? The only problem I see is why on earth he included a chest hair pic when this is not a BHT? I will try to re upload the picture. I am unable to upload the picture direct to hairsite. The picture appears clear on my computer. I have uploaded a slightly larger size of the same picture in this post. Hopefully, it should appear clear. The patient had a complimentary test BHT session in his 2007 session while undergoing the repair HT. The pictures were labelled showing where the BHT growth can be seen in the after pictures. It seems the text on the picture is too small. I will post a larger size picture showing where the chest hair were placed. I guess it might be my screen but the pics looked like they were altered (see my post and the pic attached). V re-uploaded the pic which showed that this was not the case. 2 more pictures re uploaded for clarity. 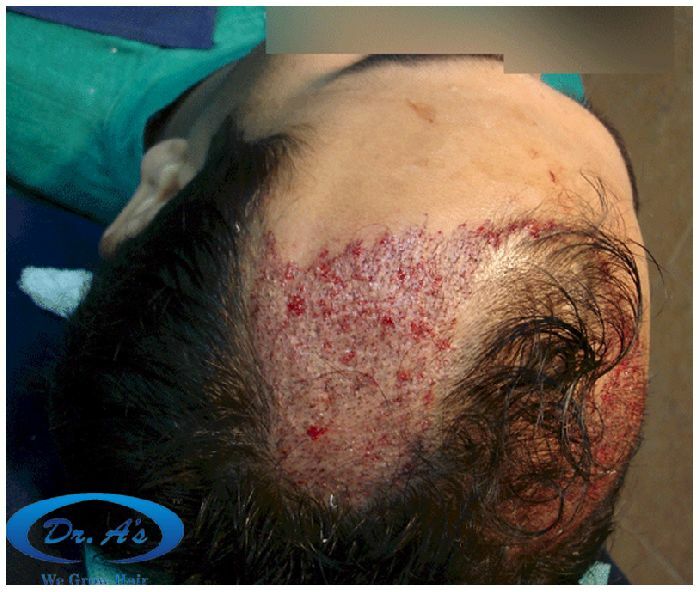 The green arrows in the pictures point to the growing chest hair that was transplanted to the scalp. Oh yeah, especially if you have strip done. 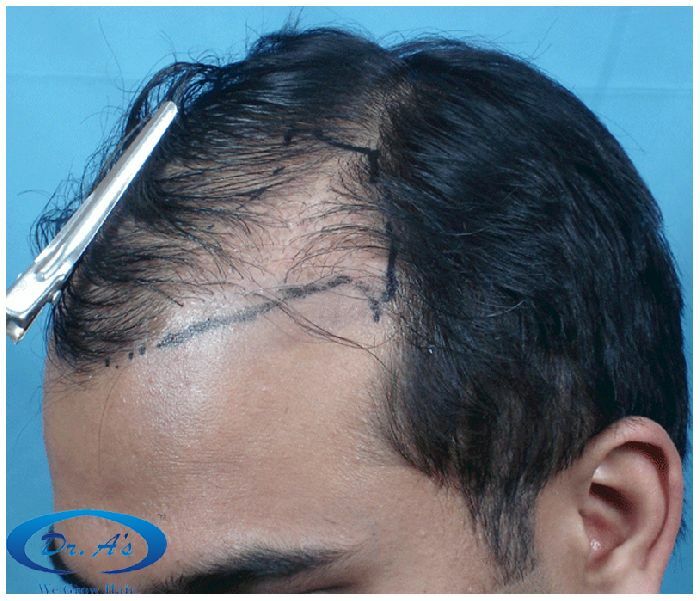 Do fue and you will have the option to shave it all and get off the hair transplant treadmill. » this was not the case. 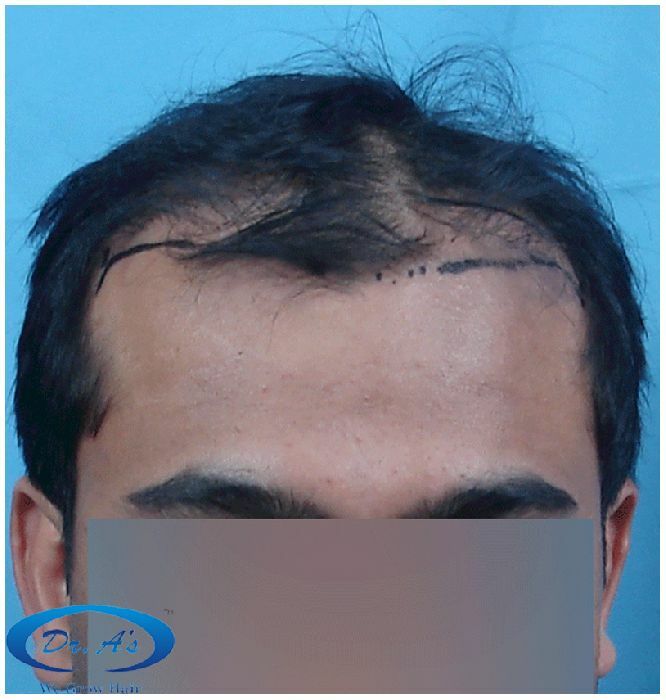 I guess the pic looks weird because this guy kept losing more hair after the 1st transplant. I posted exactly the pictures that were emailed to me from Dr. Arvind’s clinic. Not sure where the problem is. » clinic. Not sure where the problem is. I think the problem may be the yahoomail. It may have compressed the pictures and reduced the quality. » » » a BHT? » » this was not the case. Therapy has rightly pointed out and its one thing every patient must keep in mind. Hairloss is progressive in nature. One must always keep in mind that future HT sessions will be required when going for the first HT. If you do not lose anymore hair over the years - good! 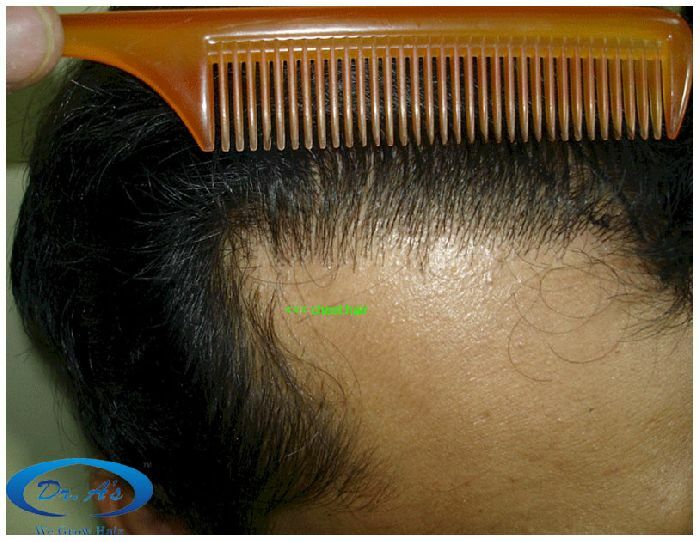 But, if MPB does damage your pre existent hair growth, you will not be rudely surprised.